So Manson Didn’t Kill Anyone. murder. Manson didn't kill anyone on August 9th or August 10th and was never near the murder scene on August 9th. It is probable Manson relied on these facts when he orchestrated the murders, assuming he could not be convicted of a crime he did not actually commit. Legally, however, Manson didn’t need to kill anyone to go be convicted of murder and conspiracy to commit murder and if convicted of either he was going to end up exactly where he is today. 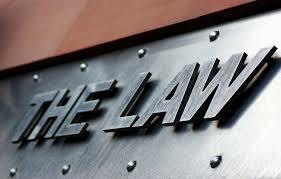 A trial involves two components: the facts and the law. The jury (if there is a jury) is the fact finder. The jury decides the facts of the case. The judge tells the jury how to apply those facts to the law. In order to be convicted of a crime the DA must present facts to the jury which prove each element of the crimes brought against the defendant. The proof must reach the level of being beyond a reasonable doubt or to a 'moral certainty'. The jury decides whether the DA was successful. 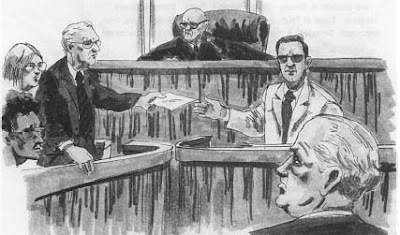 At the end of the trial after both sides have finished what is typically called closing argument or summation the judge ‘instructs’ the jury on the law applicable to the crime: he tells the jury what the DA needed to prove. This process is known as instructing the jury or charging the jury and occurs through what are known as jury instructions. The jury then retires and deliberates applying the facts (evidence) to the instructions (law) to determine guilt or innocence. The jury doesn’t return from deliberating and say ‘why’ they reached their conclusion. They simply state their conclusion. So, for example, if, as in this case, the jury is instructed on both first degree murder and felony murder the jury does not tell the court which crime they believe the defendant committed. They simply say guilty. The jury in the Tate-LaBianca trial was given several avenues by which to convict Manson of murder and Manson may have been convicted under any of them. We will never know. In fact, Manson didn't even need to be convicted of murder to end up in prison for the rest of his life (or on death row). What follows are several of the actual instructions read to the jury by the court. My thanks to Cielodrive for providing this. The instructions are in quotes. The rest are my comments. A lot has been made of Bugliosi’s use of ‘circumstantial’ evidence. This is what the law says on the subject as recited to the jury. “Circumstantial evidence means evidence that proves a fact from which an inference of the existence of another fact may be drawn. An inference is a deduction of fact that may logically and reasonably be drawn from another fact or group of facts established by the evidence. The argument Manson was only convicted on circumstantial evidence and thus should not have been convicted is not well taken. Direct evidence is not necessary. Here is what the law said on the subject of motive in 1971. “Motive is not an element of the crime charged and need not be shown. However, you may consider motive or lack of motive as a circumstance in this case. Presence of motive may tend to establish guilt. The instruction explains why Bugliosi wanted to establish a motive. Remember, the motive could have been any of the motives discussed on this site. It need not have been Helter Skelter (HS) for the same instruction to be read to the jury. Bugliosi in his book points out that he didn't need to prove motive. He also spends his time focusing on HS as a motive. However, he's being a little bit dishonest when he discusses the importance of HS. HS served a more important role in Bugliosi's case then simply being the motive. HS, in essence, is the conspiracy and without HS it is highly unlikely he could have proven a conspiracy to commit murder. This was the instruction given on the murder charges. “Murder is the unlawful killing of a human being, with malice aforethought. Malice is express when there is manifested an intention unlawfully to kill a, human being. "Aforethought” does not imply deliberation or the lapse of considerable time. It only means that the required mental state must precede rather than follow the act." All murder which is perpetrated by any kind of willful, deliberate and premeditated killing with malice aforethought is murder in the first degree. The word "deliberate" means formed or arrived at or determined upon as a result of careful thought weighing of considerations for and against the proposed action. The word "premeditated" means considered beforehand." At first glance it would appear to be rather difficult to convict Manson of murder under this instruction if he didn’t actually kill anyone. How can he be guilty if he didn’t ‘kill a human being’? Here is the first way Manson could be found guilty of murder and actually kill no one. “All persons concerned in the commission of a crime who either directly and actively commit the act constituting the offense or who knowingly and with criminal intent aid and abet in its commission or, whether present or not, who advise and encourage its commission, are regarded by the law as principals in the crime thus committed and are equally guilty thereof. From this instruction you can see why Bugliosi wanted Manson’s statements in evidence such as ‘now is the time for Helter Skelter’ or ‘go with Tex and do what he says’ or ‘get a knife and a change of cloths’ and even his statement to ‘leave something witchy’. 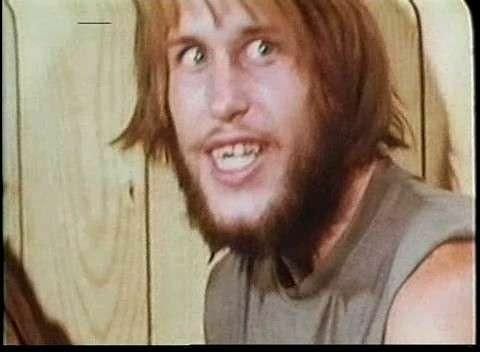 The instruction also reveals the significance of Manson driving the car, entering the LaBianca house and tying the couple up with a leather thong. All of this aids, promotes, encourages or instigates the commission of a crime. Bugliosi also had the court instruct the jury on felony murder. “The unlawful killing of, a human being, whether intentional, unintentional or accidental, which occurs as the result of the commission or attempt to commit the crime of burglary or robbery, and where there was in the mind of the perpetrator the specific intent to commit such crime or crimes, is murder of the first degree. This is the second way Manson could have been found guilty without killing anyone. The defense objected to this instruction and on appeal argued it was not proper because Bugliosi had ‘relied’ on HS during the trial. The appellate court disagreed. Instead that court said "whether Watson harbored the requisite animus furandi [intent to commit robbery] prior to entering was a question of fact for the jury." and noted "[t]he trier of fact is not limited by any hierarchy of theories selected by the prosecution". 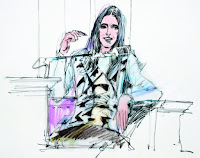 I quote the appellate court to show how an appellate court reviews a jury verdict: they give complete deference to what the jury ‘might’ have found and don't speculate about what they did find. Note also that the jury could choose any theory in arriving at guilt or innocence, not just those offered by the prosecution. What we learn from this is that the courts are not going to guess how the jury got to their verdict. 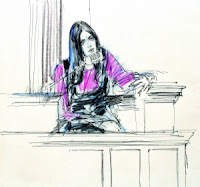 The felony-murder instruction would have allowed the jury to find Manson guilty of first degree murder even if the murders were all accidental. Again, Manson didn’t have to kill anyone. Manson climbing in the car the second night and driving at least part of the way (or directing the driver) or entering the LaBianca house or tying them up with the thong are all sufficient acts to convict Manson of felony murder. In fact, any one of these acts is sufficient just like the driver of the getaway car who never enters the liquor store where his accomplice shoots the clerk. In order to find a defendant guilty of conspiracy in addition to proof of the unlawful agreement, there must be proof of the commission of at least one of the overt acts alleged in the indictments. It is not necessary to the guilt of any particular defendant that he himself committed the overt act, if he was one of the conspirators when such an act was committed. “Each member of a conspiracy is liable for each act and bound by each declaration of every other member of the conspiracy if said act or said declaration is in furtherance of the object of the conspiracy. defendants, did willfully, uawfully, feloniously and knowingly conspire, combine, confederate and agree together to commit the crime of murder, a violation of Section 187, Penal Code of California, a felony. That on or about August 8, 1969, the said defendants, Charles Watson, Patricia Krenwinkel, Susan Atkins and Linda Kasabian did travel to the vicinity of 10050 Cielo Drive in tha City and County of Los. Angeles. The separate proceeding is the guilt phase of the trial. If Manson is convicted of conspiracy to commit murder he is still headed towards the gas chamber. So what was the conspiracy? The answer is the Family’s agreement at Manson’s direction to fulfill Manson’s prophecy: Helter Skelter. This is the true importance of HS, one downplayed, in my opinion, by Bugliosi in his book. In fact, I would argue that without HS there is no conspiracy. The fact we might describe the notion that they could start a race war by murdering upper middle class or wealthy white people, then hide in a bottomless pit in Death Valley and emerge years later to rule the world as fantasy is irrelevant. A conspiracy need not be either achievable or even logical. A conspiracy seldom can be proved by some recorded conversation between the co-conspirators. It typically has to be proven by their actions, especially those actions that demonstrate their relationship as co-conspirators or confederates operating in unison. 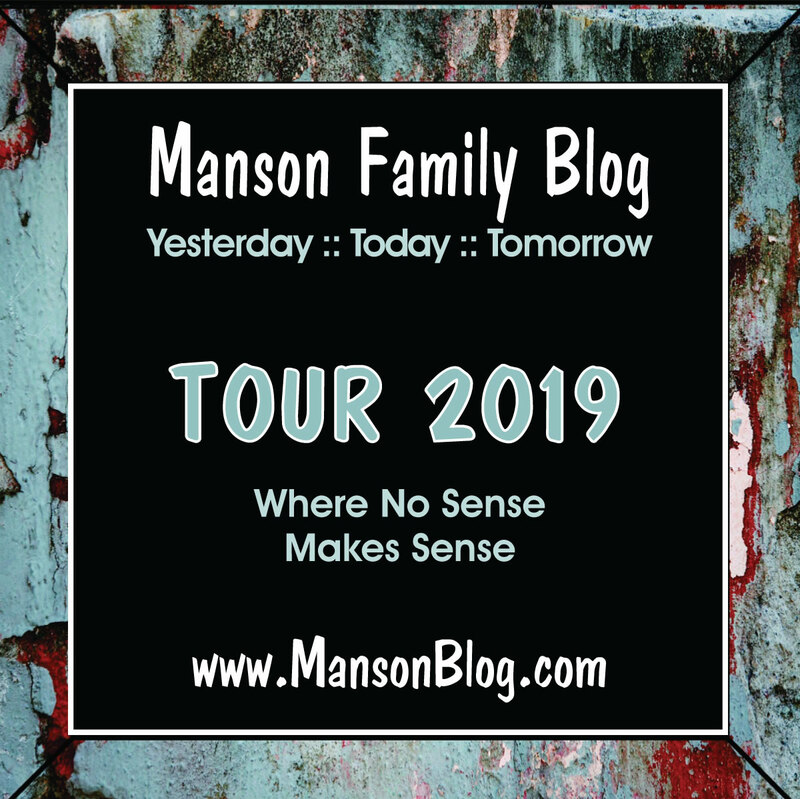 Here, that is the evidence of the interrelationship of the family members with Manson and in particular those elements of the testimony that demonstrated his control- or put another way- those elements that demonstrated Family members’ willingness to engage in activities at his behest. Once Manson is convicted of conspiracy to commit (first degree) murder the penalty is precisely the same as if he had carried and used the gun at Cielo Drive. Can the DA get a conviction? The DA needs to prove an agreement. This comes from the very organization and activities of the Family, including the murderers. Orchestrated sexual activity, the 'sermon on the mount' type sing-alongs with Manson on the rock, the commune lifestyle and most importantly embracing the concept of Helter Skelter and accepting the idea as fact all infer agreement. Frankly, Manson’s courtroom antics probably sealed the deal for most of the jurors. It’s not his control per se. It is the ‘group-think’. How could anyone reach any other conclusion but that the four defendants in the courtroom (and other Family members) were of like mind. The DA also has to show that the agreement included the specific intent to commit first degree murder- the unlawful taking of life with malice aforethought. It did. The plan, according to Bugliosi, was to start a race war by killing white people. Manson's own words and the subsequent events- the murders- are sufficient to establish the requisite intent. And there are many indications that if Manson is convicted of these first degree murders, that he may die in the gas chamber. Have you ever had any thoughts that perhaps this would be like a second crucification? MISS VAN HOUTEN: Yeah, many times. MR. PART: Tell me about it. MISS VAN HOUTEN: Well, it seems strange that it would happen again, seeing as he already died once; but if it did it would be all right; because what we did was because of this part of the plan that we have no control of. MR. PART: Now that you mentioned “the plan that we have no control of,” tell me what you mean. MISS VAN HOUTEN: Well, it seemed like after we knew what was going to come down we tried talking to leaders, you know, black leaders, and we saw that they were stalling. And it was almost as though we had to make the first move for it to continue to develop, to get bigger so that it would happen because the black man loves us so much that he would be our slave and do everything we said, let us beat him and mistreat him for so many years that he almost doesn’t want to do what he has to do, but he sees that he has to do it. And so it was up to us to start it. MR. PART: Now, you say that you talked to some black leaders. Who were these black leaders? And you say it was up to us to start it. Now, what do you mean by starting it? MISS VAN HOUTEN: I don’t know. All I know is his name is John and he — he’s pretty big in government. And I don’t know. He may not be, you know. But we thought he was. And starting — starting it was that — to just start killing people. Because it’s going to be blood for blood. MR. PART: Now, did you believe that the — that the black people would to have to start killing the white people? MISS VAN HOUTEN: No, it wouldn’t be that way. White man would kill white man. The black man would sort of be there, too, helping him along. Because we — it was — it’s like white man is divided, you know. We aren’t united in our thoughts. And the black man is more together. They are more one in their thoughts, you know. They’re — they’d — in here I’ve gotten a lot of talk about how they call each other sister and each other brother. But very seldom do two white girls say, “Hey, sister,’ you know. They greet you when you come in, you know. Say, “Say, sister, come on in. Want a cigarette?” You know. And so white man would kill white man for their beliefs. If they didn’t believe the same, they’re going to knock each other off. And then black man would be there to sort of help them. MR. PART: Well, how were you going to start the this revolution? MISS VAN HOUTEN: By killing. MR. PART: Could you explain that? MISS VAN HOUTEN: By doing a murder that had no sense behind it, and by putting words that would make people scared. Because the more fearful the people get, the more frantic it will get, and the faster it will happen. Finally, the DA needs an 'overt act' in furtherance of the crime. These are set forth in OVERT ACTS III and IV above. Could the same result have been obtained under other motives? Yes, planning copycat murders is a conspiracy. Getting revenge for a drug burn or trying to muscle in on someone's territory is still the basis for a conspiracy. Bugliosi, in part due to his own blinders in seemingly ignoring the Hinman murder, had scant little evidence for any of these theories- or just missed it. He had to prove HS was the motive, in my opinion, not because he needed a motive but because he needed a conspiracy to commit murder. Ok, maybe not straight out of law school but I still think the concept is accurate. Climbing into the car the second night leads Manson directly to prison (or death row) for the rest of his life given the heinous nature of these crimes. On the morning of August 8. 1969 Manson is guilty of nothing related to the Tate-LaBianca murders. It is not a crime to think about murdering people or even talking about it (with some exceptions). In fact, an argument can be made that Bugliosi would have had a very difficult time convicting Manson (if Manson put on a defense and actually woke up and asked for a separate trial) as of the morning of August 9th. Even after the Cielo Drive murders I think it would have been more difficult to convict Manson. But the minute Manson climbs in that car with the murderers from the previous night and those who would murder that night (except Clem) and proceeds to Waverly Drive Manson is convicted. 1. He has now directly aided and abetted the crime of murder. 2. He has now participated in a robbery or burglary where a murder occurs. 3. He has handed the DA an 'overt act' in furtherance of the conspiracy (something missing until then- look at III and IV above). Does the rest of the evidence including statements attributed to Manson by Kasabian, Lake and others help seal the deal? Of course it does but at that moment when Manson made the decision to climb in that car he stepped onto the gallows. In my opinion Steve "Clem" Grogan is guilty of conspiracy to commit murder after the LaBianca murders. There is really little doubt about it. So why wasn't he charged in Tate-LaBianca? "At this time we were unaware that Susan Atkins had made some significant omissions in her grand jury testimony— including three other attempts at murder that night. Had we known of them, we probably would have asked for an indictment of Clem. As it was, however, all we had against him was Susan’s statement that he had been in the car. And we still had a slim hope that his brother, whom we’d contacted at the Highway Patrol Academy, might persuade him to cooperate with us." Bugliosi, Vincent; Curt Gentry. 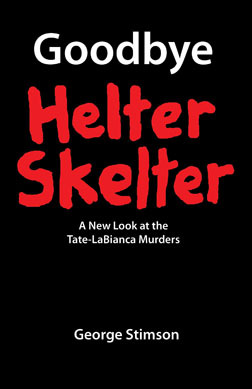 Helter Skelter: The True Story of the Manson Murders (p. 223). W. W. Norton & Company. Kindle Edition. To me this logic doesn't make sense. After they lined up Kasabian they clearly had the exact evidence Bugliosi says he was missing to get the indictment. He could then go get one. He sort of leaves the impression it was somehow too late by then (which is not true) and then seems to say 'well, we got him anyway for Shea'. "If the psychiatrists had examined one of Manson’s followers and, on the basis of such responses, found him insane, what of his leader?" Bugliosi, Vincent; Curt Gentry. Helter Skelter: The True Story of the Manson Murders (p. 163). W. W. Norton & Company. Kindle Edition. At the time Bugliosi thought Grogan could get off on an insanity plea and that his own witnesses like DeCarlo and Springer would help accomplish that result. Bugliosi wanted to avoid that possibility and the impact Clem's presence might have on the trial. Look at the history of Van Houten. Outside the original trial her diminished capacity defense almost worked. In fact, it worked so well the DA changed his approach to felony murder during her last trial.